Tour De Fat in Returns to Durham this Saturday! Tour de Fat is New Belgium Brewing’s traveling celebration of all things bicycle to increase awareness and participation in cycling as a sustainable form of transportation. Each year Tour de Fat travels to 10 cities across the U.S. The day-long festivities are free in every city, but the proceeds from beer sales go to local non-profits. The events kick off with a costumed bicycle parade around downtown Durham that will wind through downtown Durham, ending in grassy area by the Durham Performing Arts Center. That’s when eclectic entertainment takes over from musical acts to yo-yo performers, bike contests and even vaudeville acts (great people watching). To get a sense of what this family friendly event is like check out the short video below. 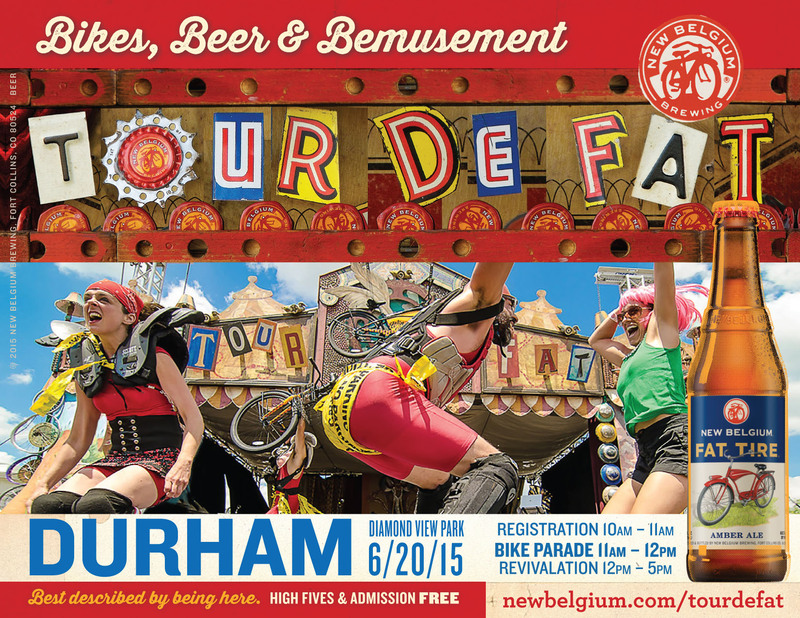 To view the schedule of events on Saturday in Durham visit http://www.newbelgium.com/events/tour-de-fat/durham.aspx. If you want to get a “Carnie Cut” to sport at the event make sure you stop by Pedro Williams in Durham on Friday. See details here. If you are in Raleigh you may also want to checkout the Yelp Pre-Party Kickoff Event at the Raleigh Historic Depot (Tasty Beverage, Jose & Sons, Videri Chocolate Factory) and take the train over to Durham.